After months of campaigning, political speculation, and national polls, voters are finally getting to have their say. Iowans have come together in churches, banquet halls, elementary schools, co-ops and even restaurants to caucus for their preferred presidential candidate. As caucuses for the Republican and Democratic parties kicked off Monday night in the state's 1,681 precincts, Iowa fell into a political frenzy with locations reporting significant variations in turnout numbers. Thankfully social media provides curious voyeurs like me a peek into just what Iowa's caucuses look like. There's a lot of hype — and a dash or two of controversy — surrounding the Iowa caucuses, but the actual event isn't very interesting to watch (unless you find yourself absolutely captivated by people standing around a room). What is interesting to observe this year is the contrasting crowd sizes seen at Iowa precincts and the diverse age range of voters showing up to caucus for their candidate. A huge focus of analysis and discussion surrounding this year's caucuses has been on voter turnout, which has been predominantly low across the state caucus after caucus. That means a lot of attention and significance is placed on the opinions of an incredibly small fraction of United States voters. 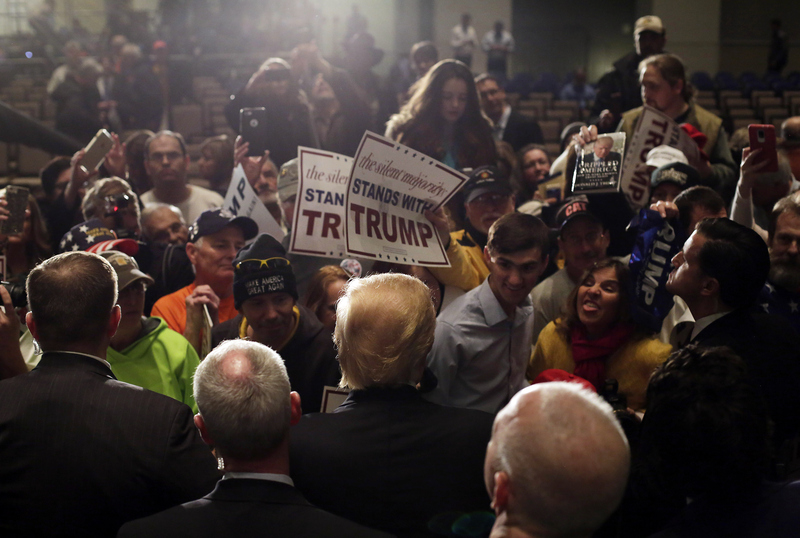 This year's caucuses are believed to have brought out larger-than-normal crowds overall. Below we've rounded up some of the most surreal photos coming out of the Iowa caucuses. While some caucus locations saw registration lines that went out the door and around the building, others ended up being small affairs with just five voters participating. Local schools, church basements, and meeting rooms seem like perfectly reasonable caucus locations, but I'd have been over the moon to caucus in a restaurant running a $5 all-you-can-eat soup deal or the old ambulance building that opened its doors for Democrats of Gladbrook, Iowa. A quick scroll through of the #IowaCaucus on Twitter showed some precincts in the state were seeing a diverse range of ages, from senior citizens to 17-year-olds anticipating turning 18 prior to election day and even a few babies, who I think it goes without saying don't participate in the caucuses. Democratic caucuses require supporters to physically gather in different corners of the room to show their support for their preferred candidate. The huddled supporters are then counted to determine a candidate's viability. Tweeted photos of groups who either failed to meet viability thresholds or are attempting to persuade uncommitted voters to join them are equal parts pitiful and hilarious. Over at Republican caucuses, votes are counted after a secret ballot is held and precincts are able to collect votes in a variety of ways, including printed ballots or slips of paper tossed into buckets. For those of us not in Iowa, caucuses can seem a confusing and archaic event. But if photos from Monday's vote teach us anything, it's that Iowans take great pride in their political pastime.